How little things in life can be totally f**king cool. 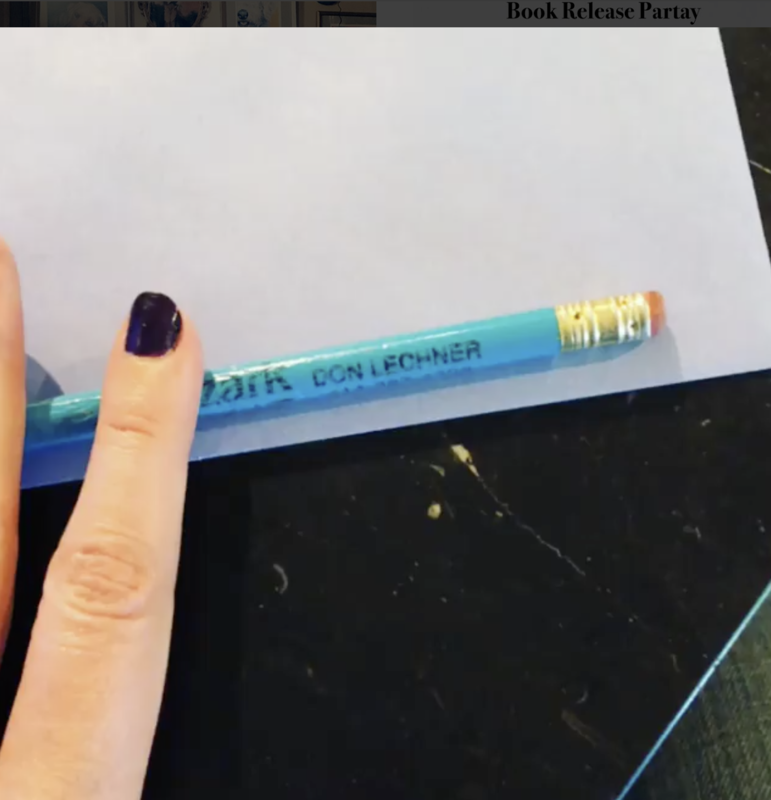 How to find your "pencil"
Andrea Lechner-Becker, Ex-Lady Boss. Author of Sixty Days Left. Death with Dignity and animal advocate. I’m almost halfway through sixty days of doing little things that make me appreciate life a little bit more. Something I’ve labeled #60DaysBlessed. As a bi-product of paying closer attention to things under this regiment, I stumble upon myself being sentimental AF. This was my original post to Instagram, accompanied by a Boomerang of me rolling the pencil. A hundred people stopped to watch, less I’m sure read my insights. ☝️When my dad visits me, he always complains he can’t find a pencil. Why does he need a pencil? Because he’s always making marks on our walls, for hanging something or building something or sketching what he wants to build or move or whatever. He wanted to be an architect (a dream he never recognized) and loves writing in this light gray graphite. 🤙Careers. My dad had major career changes while I was growing up. He was a mailman, insurance salesman, aerial photography salesman and carpenter. One day, with just him and I in the car, he asked me if I thought he should leave his job and do something new. I told him he should follow his dreams and he’d be good at whatever he wanted to do. When I told him I’d left my six-figure job to write, he reciprocated that I-believe-in-you advice. Being a human is f**king cool when one little pencil that would mean nothing to almost everyone in the world means the 🌎 to just one person. I hope you find your pencil and it’s corresponding happy thoughts today. I can’t really tell you how to find your “pencil” except to say that if you’re open, you’ll see it. If you’re not too worried about marking things off your to-do list or running to the next thing on it or complaining about literally anything, you’ll find it. It’ll pop up when you aren’t looking and it’ll make you pause. If you still don’t find it, then join me in #60DaysBlessed, because doing these little things for the few weeks before I found my pencil worked for me and so maybe it’ll do the same for you. At the very least it couldn’t hurt.